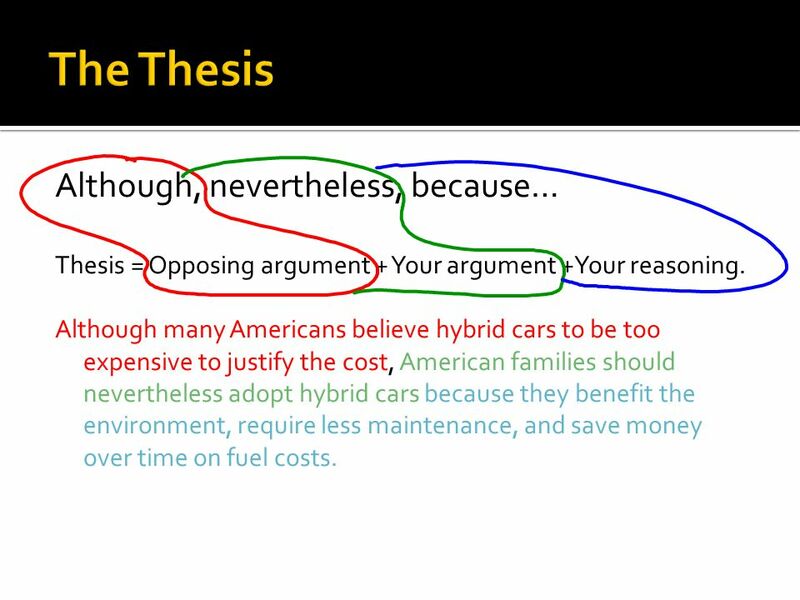 Here is a formula for drafting a thesis statement, using three key words: • Even though (or although) - states the main argument AGAINST your opinion. • Nevertheless - tells your basic position on the topic (consider using the word "should" for this part). • Because - states the strongest evidence that SUPPORTS your opinion.